Humans are exposed to hydroquinone (HQ) via diet, smoking, occupation, and even via inhalation of polluted air. 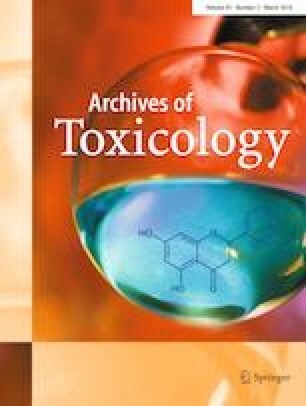 Given its preferential distribution in kidney and liver, the impact of biotransformation on the nephrotoxicity and hepatotoxicity of HQ was evaluated. Indeed, HQ and its metabolites, benzoquinone, and quinone–thioethers (50, 100, 200, and 400 μM) all induced ROS-dependent cell death in both HK-2, a human kidney proximal epithelial cell line, and THLE-2, a human liver epithelial cell line, in a concentration-dependent manner. For a deeper insight into the biological mechanism of ROS stimulation, the bioinformatics database was reviewed. Intriguingly, 163 proteins were currently reported to form co-crystal complex with benzoquinone analogs, a large proportion of which are closely related to ROS generation. After a thorough assessment of the interaction affinity and binding energy, three key mitochondrial proteins that are particularly involved in electric transport, namely, cytochrome BC1, succinate dehydrogenase, and sulfide:quinone oxidoreductase, were highlighted for further verification. Their binding affinity and the action pattern were explored and validated by molecular docking and molecular dynamics simulations. Remarkably, quinone–thioether metabolites of HQ afforded high affinity to the above proteins that purportedly cause a surge in the generation of ROS. Therefore, HQ can be further converted into quinone–thioethers, which on one hand can function as substrates for redox cycling, and on the other hand may afford high affinity with key proteins evolved in mitochondrial electron transport system, leading to a vicious cycle of ROS generation. The combined data provide a prospective insight into the mechanisms of ROS motivation, expanding HQ-mediated toxicology profiles. The online version of this article ( https://doi.org/10.1007/s00204-019-02443-4) contains supplementary material, which is available to authorized users. This work was supported by the National Natural Science Foundation of China (21507093).